hahaha Colin’s puzzled expressions are so cute! thats an awful waste of bandaids. It is true. When a woman says let’s talk she means listen to me. 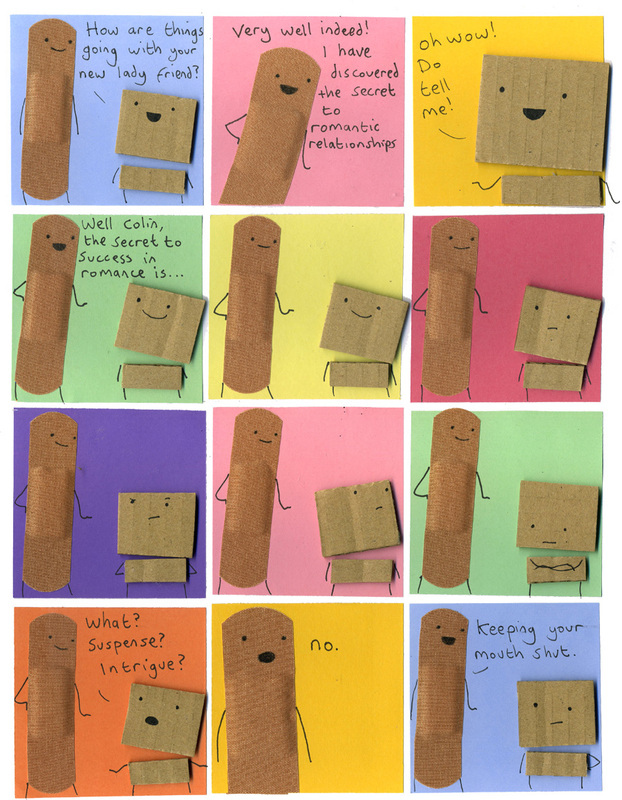 I like this strip… All the others are crap compared to this one! He has a point… a good one at that.